Innovation and rapid product development are the hallmarks of the sensor, measurement and instrumentation industry, so keeping abreast of developments is a must, says Mark Venables. Three of the most interesting attractions at MTEC 2007 come from instrumentation stalwarts National Instruments (NI), Eurotherm and Edinburgh Instruments. The show, at the NEC on the 14 and 15 February, is run by Trident Exhibitions and is claimed to be the UK’s definitive event for sensors and systems. Technological innovation and rapid product development are the hallmarks of the sensor, measurement and instrumentation industry, and for specifiers of these systems it is essential to keep abreast of all latest developments. Visitors also have the opportunity to attend a range of free workshops held by the British Society for Strain Measurement (BSSM), Optocem.Net and the International Microelectronics and Packaging Society (IMAPS UK). In the Industrial Networks Technology Centre, free presentations are from the Profibus Group, the ASi Expert Alliance and the Instrumentation, Systems and Automation Society England Section (ISA). For 30 years, NI has been a technology pioneer and leader in virtual instrumentation (VI) — a concept which allows users to programme processing routines from data gathered by plant sensors and display it on a computer display however they choose. This, the company says, has changed the way engineers and scientists approach measurement and automation. Using PCs and commercial technologies, VI increases productivity and lowers costs for test, control and design applications through easy-to-integrate software, such as NI LabVIEW and modular measurement and control hardware for PXI, PXI Express, PCI, USB and Ethernet. At Mtec 2007, NI will demonstrate the latest innovations in virtual instrumentation, including LabVIEW 8.20, the 20th anniversary edition, new CompactDAQ, the simple, complete USB data acquisition platform, and modular instrumentation hardware. LabVIEW graphics have revolutionised the development of scalable test, measurement and control applications, said NI. Regardless of experience, engineers and scientists can rapidly and cost-effectively interface with measurement and control hardware, analyse data, share results and distribute systems. 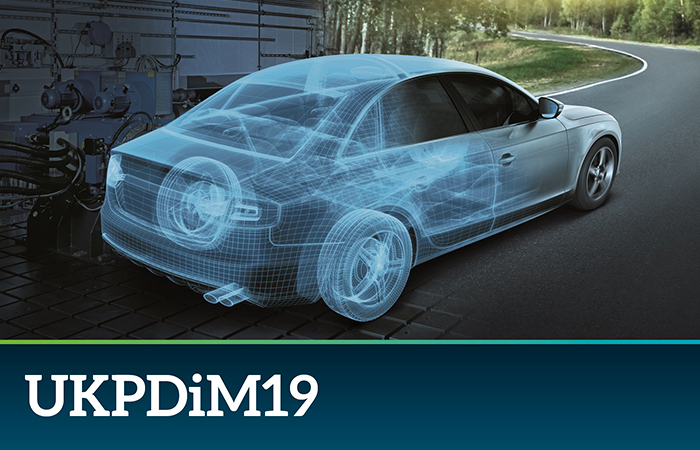 The latest edition of the design platform builds on easy-to-use graphical programming, introduces powerful features for developing measurement applications and provides open connectivity tools to integrate external applications and services. Among the new features are object-orientated programming that allows the creation of a code that is easier to maintain and modify, while the DLL import wizard helps create wrapper VIs for library files. Other new features include instrument driver export wizard to create instrument drivers in LabVIEW and export them for use in other programming languages and the ability to import web services, a shared variable that allows abstract communication complexity between intelligent nodes of a distributed embedded system and LabVIEW Project to streamline application and device management with the LabVIEW Project. Also on display on the NI stand will be NI CompactDAQ, M Series Multifunction data acquisition and PXI. CompactDAQ hardware provides the plug-and-play simplicity of USB to sensor and electrical measurements on the benchtop, in the field and on the production line. By combining the ease-of-use and low cost of a data logger with the performance and flexibility of modular instrumentation, CompactDAQ delivers fast and accurate measurements in a small, simple and affordable system. The series expands the applications for data acquisition devices into fields such as control and simulation. Visitors can learn about the latest data acquisition cards that have increased resolution, accuracy, configurability and speed, and reduced cost per channel. On Edinburgh Instruments’ stand, visitors can learn about FAST (Fluorescence Analysis Software Technology), a system that performs advanced analysis of fluorescence kinetics. It effectively combines a user-friendly, graphical interface with sophisticated mathematical algorithms for solving the associated ill-posed optimisation problems. FAST is based on Alango proprietary and well-proven computational algorithms, providing fast and reliable automatic fitting. The two main proprietary algorithms used are Global Least Squares Analysis (GLSA) minimisation algorithm and Non-negative Truncated Singular Value Decomposition (NTSVD) approach. GLSA minimisation algorithm and software library were developed for the treatment of unstable, non-linear least squares optimisation problems with multiple local minima. Performance of traditional Marquardt-Levenberg algorithm is generally inadequate for problems that are typical for these types of multiset/multimodel fitting tasks. NTSVD algorithm and the corresponding software library were developed for the treatment of severe, ill-posed mathematical problems where the condition of non-negativity may be applied to the solution due to physical nature of the problem. Such conditions may provide significant stabilisation of the problem, allowing it to recover information from otherwise untreatable problem. NTSVD algorithm is the only approach that combines the two. Eurotherm will be displaying its latest family of data recording solutions, the 6000 Series. The range of advanced data recording products is claimed to set new standards in terms of ease of use and configuration, security of data and adaptability. The Series, consisting initially of two advanced graphical (paperless) recorder models supported by a range of hardware and software options, will replace the earlier, widely-used Eurotherm 5000V Series, with full software compatibility and interchangeability. The 6000 Series incorporates the latest innovations in data management, recording and display technology, which Eurotherm says makes it the most advanced in the world. The company’s proprietary data encryption techniques give the technology the most secure data recording available, while innovative touch-screen displays provide outstanding brightness, clarity, and functionality. In addition, the instruments offer a large number of communications features, options and software tools that make them easily configurable for a wide spectrum of demanding applications across many industries. Clear, adaptable touch-screens are a key feature of the new instruments, providing intuitive operator interfaces with no complicated button pressing sequences. Not only do they make menu selection and data entry easy, but the units can also be configured in a WYSIWYG environment by ‘dropping in’ one or more Java components from the comprehensive library supplied to create unique user screens. In addition, active areas can be created to include images, imported in GIF format, process graphics or buttons. Model 6100A, the smaller of the two instruments, uses a digital/VGA colour touch-screen display, while the larger 6180A, uses a bigger XGA display (1024 x 768 pixels) offering higher resolutions and sharper images. For applications where a touch-screen is not the most practical for the process — in a dirty environment for example — a mouse can be plugged into the USB port on the recorder and used for navigation. This demonstrates how relevant ‘Plug & Play’ USB devices can be simply interfaced with the unit without complex configuration procedures. For instance, a memory stick can be used as an additional data archiving device, or a USB barcode scanner can be used to record information. Every instrument has one USB port and two more can be fitted.